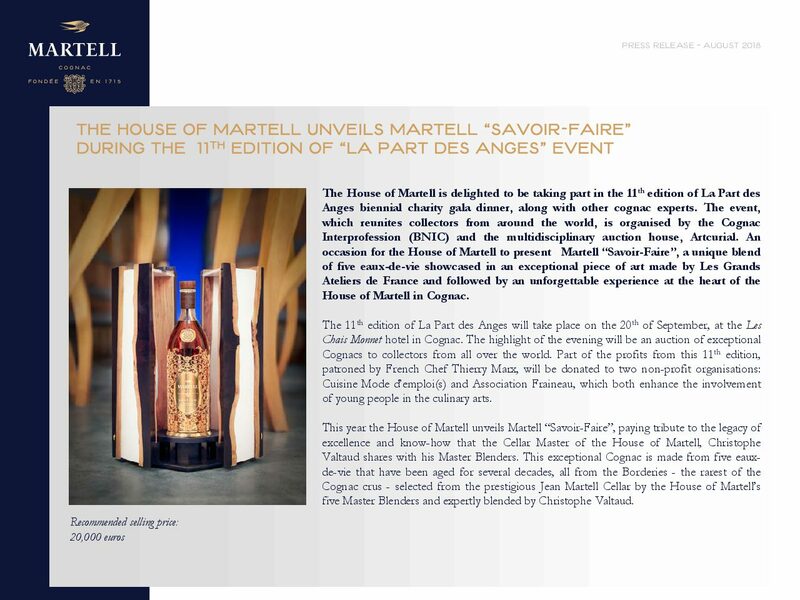 The House of Martell is delighted to be taking part in the 11th edition of La Part des Anges biennial charity gala dinner, along with other cognac experts. The event, which reunites collectors from around the world, is organised by the Cognac Interprofession (BNIC) and the multidisciplinary auction house, Artcurial. An occasion for the House of Martell to present Martell “Savoir-Faire”, a unique blend of five eaux-de-vie showcased in an exceptional piece of art made by Les Grands Ateliers de France and followed by an unforgettable experience at the heart of the House of Martell in Cognac. The 11th edition of La Part des Anges will take place on the 20th of September, at the Les Chais Monnet hotel in Cognac. The highlight of the evening will be an auction of exceptional Cognacs to collectors from all over the world. Part of the profits from this 11th edition, patroned by French Chef Thierry Marx, will be donated to two non-profit organisations: Cuisine Mode d’emploi(s) and Association Fraineau, which both enhance the involvement of young people in the culinary arts. This year the House of Martell unveils Martell “Savoir-Faire”, paying tribute to the legacy of excellence and know-how that the Cellar Master of the House of Martell, Christophe Valtaud shares with his Master Blenders. 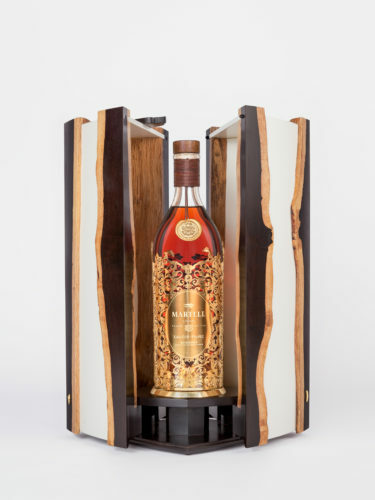 This exceptional Cognac is made from five eaux-de-vie that have been aged for several decades, all from the Borderies - the rarest of the Cognac crus - selected from the prestigious Jean Martell Cellar by the House of Martell’s five Master Blenders and expertly blended by Christophe Valtaud. To showcase this unique blend, a one-of-a-kind exclusive piece of art was created hand in hand with Les Grands Ateliers de France, a prestigious association of the finest French artisans. 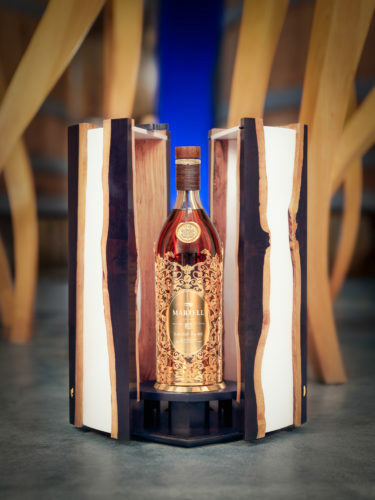 The precious 70cl bottle, is adorned with a gold sleeve, a design inspired by the forms of the Cognac vineyards. Ebony and parchment were crafted into a precious case inspired by the beautiful intricacies of the vine and created by the distinguished cabinetmakers Ludwig & Dominique. On the inside, heraldic engraver Gérard Desquand has designed and created a base which delicately supports the Martell “Savoir-Faire” bottle. At the end of the auction, the winning bidder will get to enjoy an exclusive journey of discovery at the House of Martell in Cognac. This outstanding experience will include a dinner and a night at the historic Château de Chanteloup, as well as a unique opportunity to meet Christophe Valtaud, the Cellar Master of the House of Martell. The special guest will be invited to an exclusive tasting session, followed by an introduction to the art of blending. Guided by Christophe Valtaud, they will be invited to create a bespoke blend, made from the five eaux-de-vie selected for Martell “Savoir-Faire”. As cabinetmakers based in Paris since 1980 and driven by their passion for art, Ludwig & Dominique restore rare furniture for top interior designers, art galleries, museums, collectors and leading auction houses. Their work is inspired by their aesthetic sense and their passion for beauty in all its forms. Careful observation and meticulous attention to detail, materials and finishing enhance their work and help us to appreciate the genius of the creator. Atelier Desquand produces heraldic seals and engravings on signet rings for jewellers and famous personalities. Based in central Paris, Gérard Desquand is continuing the ancient tradition of items engraved with personal emblems, sometimes on new materials such as porcelain, chosen for its transparency. Engraving is embedded in the workshop’s memory among the centuries-old tools, taking us on a journey through time. Gérard Desquand was made a Master of Art by the French Ministry of Culture and Communication in 2006. – joining the event for the first time ever – added to the team behind the Fine Wine and Spirits Artcurial department will ensure a successful event.